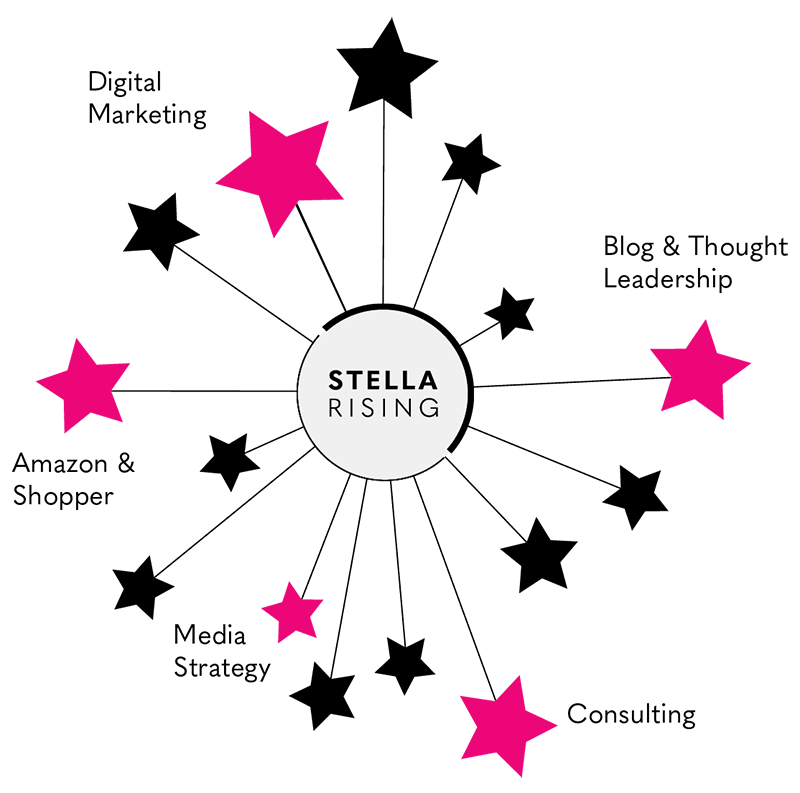 Stella Rising is the leading marketing and media agency for spirited, high-growth consumer brands and service companies. It is our mission to connect these brands with people who will love them—through creative communication, technology, media and human engagement. We understand what it takes to build a foundationally strong and admired brand, with deep category expertise and rising star talent. Our approach to growing clients' businesses includes stellar strategic digital marketing, media and insight-based communication strategies, end-to-end Amazon expertise, Stella Intelligence business consulting services, and social insights community, Glimmer. Marketing, media, and insight-based communications strategies that help dynamic businesses expand and succeed. As the agency for rising stars, we help many dynamic brands grow and flourish.